Huawei is a big name in the Kenyan smartphone market; it is a brand that is in the same league with phones such as Samsung and HTC. As a matter of fact, some of the Huawei smartphones can compete with Apple phones; this should tell you that it is a phone that you can put your money on. One of the things that has made Huawei a great success is the fact that it has models that range from affordable ones to others which are super expensive. This is a wise marketing strategy that has made Huawei occupy the whole nitch in terms of customer base. You will find people from the village owning an affordable Huawei phone, and you will still find some of the rich people owning super expensive Huawei smartphones. In terms of quality, Huawei is a brand that invests in its software as well as its hardware to ensure that their clients get something good on their hands. Kilimall ensures that people are able to get this phone at an affordable price. That is why Kilimall sells this phone at a much lower price than what you get in other shops in the country. Let us take a look at some of the Huawei smartphones at Kilimall. Huawei P8 Max is a premium phone that comes with style and elegance to its name. It's the ideal phone for people who would want a phone that comes with class. Everything about Huawei P8 Max may make you die for that phone. Let me first say that it is a slightly expensive phone and may require you to dig deeper into your pocket to have it. One thing that makes it stand out is the screen. It comes with a 6.8-inch screen which makes it a phablet. This is the perfect phone for people who have a thing for large screens. A large screen requires good protection to keep it from damages; Huawei P8 Max employs the Corning Gorilla Glass 3 technology that keeps the screen as good as new at all times. Watching with this screen is a totally awesome experience that you may not have experienced with any other phone. The battery capacity is large to keep this phone powered for a very long time during the day, Huawei P8 Max comes with a 4360mAh battery capacity which powers the phone, and you don't have to charge it in the middle of the day if it was on a full charge in the morning. The other specs, especially on the performance, are great as it comes with a 3GB RAM, 2.2GHz, and 1.5GHz Quad Core processor and runs on the 5.1 Android OS which can be upgraded to the 6.0 Android OS. I bet this is one of the phones that will make high sales in 2016. Huawei Y300 is one of the Huawei models which is affordable to most people especially campus students. One of the outstanding quality in this phone is that it is a small phone that can be comfortably held with a single hand. This makes it a preferred smartphone by Kenyans who are involved in jobs that are much involving. This is because the display is small enough 4.0 inch, it can fit in the pocket very well, and the screen does not easily crack. Huawei Y300 only weighs 130 grams which make it a light weight phone to carry around. Most of the phones in the same range as the Huawei P8 are really heavy making it get more orders than the rest of the phones. The camera is something else that may make you want to buy this phone; it comes with a 5MP camera that is capable of giving you quality images especially when the lighting is good. Most phones that have the same price as Huawei Y300 will give you substandard images. This is one of the things that makes Huawei have a large following in the Kenyan market. Kilimall offers you Huawei Y300 at an affordable price as well making a delivery where you are. Huawei Honor 6 Plus is another flagship model that has made good rounds on the Kenyan market. Although Huawei Honor 6 Plus has stuck on the 4.4.2 Android OS, it comes with great hardware and a good UI that will make the usability of this phone give you a good experience. When it comes to the performance, Huawei Honor 6 Plus comes with a 3GB RAM which guarantees you speeds when you are using this phone. Multi-tasking is made easier as you can run more than one app at the same time with so much ease. Huawei is known to give clear images as most of the phones come with good cameras. This is also the case with Huawei Honor 6 Plus which comes with an 8MP rear camera and a 5MP front camera which give clear images that are decent. The camera has an LED flash light to ensure that the camera is able to give you good images even under low lighting. Most of the smartphones in this range have sub-standard cameras that are not capable of giving you good photos. Kilimall offers you this phone at an affordable price which is better than what other shops in Kenya have to offer. If you are looking for a phone to roll with in the remaining part of the year, Huawei Y6 is the ultimate phone for you. It is a phone that comes with great specs that will make your phone the center of attraction. Among the many good things that it comes with, the 4G connectivity is something that will simply blow your mind. Any phone with 4G will make more sales in Kenya. Huawei Y6 has high download speeds of 150Mbps which is faster than anything that you have experienced with 3G. 4G comes with possibilities that have not been explored before such as live streaming of videos. A 4000mAh battery capacity powers this phone for a very long time and can even take you for two whole days without needing a charge. The charging rate of Huawei Y6 is fast, and you get the battery full in a short time. This phone supports reverse charging and is one of the efficient phones when it comes to energy. You can get a Huawei Y6 at Kilimall Kenya at an affordable price, and things are better with Kilimall as the phone is delivered right to your doorstep. Huawei GR 3 is a budget smartphone that comes with so much to offer as it is an affordable smartphone that also has a great design. Huawei GR 3 is a lightweight phone that only weighs 135 grams; this means that it also comes with comfort. Let us talk about the performance of this phone; it runs on the 5.1 Android OS, 1.5GHz Octa Core processor, and a 2GB RAM. If you have an idea of how a phone works, then you know that this phone will give you speed and efficiency. Huawei GR 3 is a phone that will rarely lag due to the performance package that it comes with. For an affordable phone such as Huawei GR 3, you get 4G connectivity something that makes this phone a favorite to most people in Kenya due to the high download speeds that you get. A good camera complements a good phone, and the Huawei GR 3 comes with a 13MP primary camera and a 5MP secondary camera. The rear camera comes with an LED flash to enable photography in the dark. The selfies are excellent, and you will not get a phone with such a good camera at the price that Huawei GR 3 comes with. Kilimall makes this better by reducing the price of this phone giving most people the opportunity to own it. More to this, any order that you make with Kilimall is delivered to the location of your choice, saving your time and your money. Huawei Ascend Mate 7 is a phablet that has been in the market for some time now and has managed to make headlines in terms of the most sold phone in Kenya. Let us just say that Huawei Ascend Mate 7 retains some quality in 2016. These are some of the things that you get with this phone; the screen employs the Corning Gorilla 3 technology which protects the phone from scratches maintaining its new look for a very long time. Huawei Ascend Mate 7 screen is amazing as it can even be operated on while you have gloves on your hands. This is not something that you get with most phones as sometimes you are forced to remove the gloves to operate your phone. This is not fun especially when it is cold. A phone with a good battery and a good performance always takes the price home at any day. Huawei Ascend Mate 7 comes with a 4100mAh battery capacity that is capable of giving you two days of intensive usage of this phone. This means that you don't have to limit your surfing rate as you can still do it and not run low on the charge. Huawei Ascend Mate 7 is the perfect phone for people who love being associated with a phone that comes with class. Its performance equals its size as it comes with a good processor, a 4.4.2 Android OS, with the RAM, you get the option of choosing the model that comes with a 2GB or 3GB RAM. Kilimall offers you this phone at one of the most affordable prices in Kenya. Huawei Ascend Mate 7 is just an order away, the best part of this story as I always say is that you get your phone in the comfort of your seat. Kilimall is the perfect place to shop while you still save time. Huawei smartphones have been in Kenya for quite some time now; it has been able to gain acceptance from all ages, including the old in the society. It's not always easy for a phone to have a niche that it occupies comfortably without the fear of competition. This is what Huawei has managed to do over the past few years. It is among the phones that people have confidence with in Kenya. It is, therefore, a guarantee that this is one of the smartphones that will not disappoint you. Kilimall comes in to make sure that anyone in Kenya can get a Huawei smartphone at an affordable price. The price is low, and yet the quality of the phone remains high. 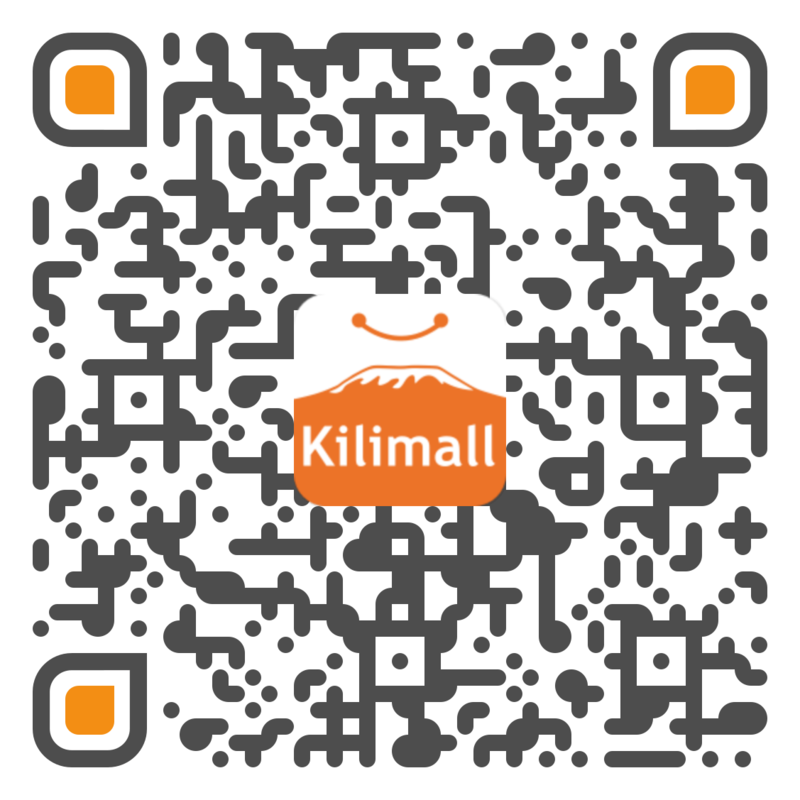 Shopping with Kilimall is the new way of saving time and money. It is possible for you to get your Huawei phone at any location of your choice.